Muscle tension can be the cause of acute and severe pain in the muscle and subsequent joint stiffness. 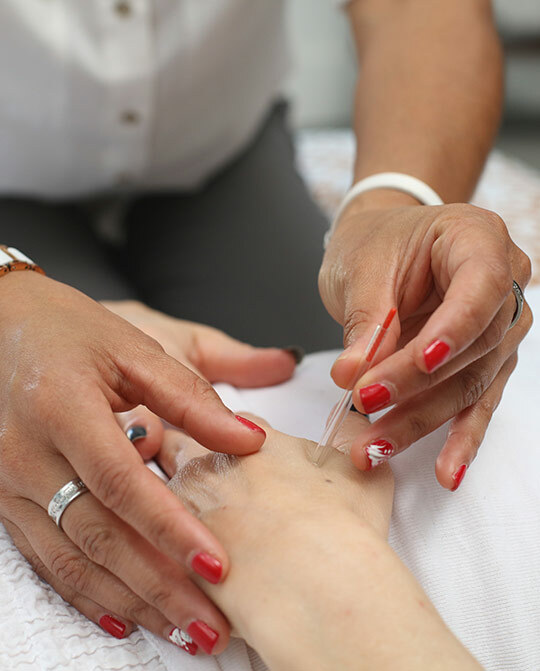 With the use of very fine needles within, or deep pressures on the active trigger points, both pain in the location of the trigger point and referred pain can be alleviated. By releasing the tension within that trigger point and elongating the newly relaxed muscle, normal muscle function can be restored. Stiffness and joint pain can also often be attributed to the overlying tight muscle, and often these techniques are used to release the muscle before the joint is mobilised and normal range of movement is reinstated.